Vsevolod Mikhailovich Eichenbaum was born on August 11, 1882, in the district of Voronezh in Great Russia. So far as I know only one of his writings, a small booklet of Russian poems, was published under his real name, while all the others, and certainly his many articles and essays, were signed with his pseudonym. It is much easier to think and speak of him as Volin. Both his parents were medical doctors, who lived in comfortable circumstances which permitted them to engage French and German governesses for the early education of their, children. So Vsevolod and his brother Boris had opportunity to become familiar with both languages from their early youth. Volin was able to speak and write French and German as fluently as his Russian mother tongue. His first general education was received at the college in Voronezh. After he had finished his studies there he was sent to St. Petersburg to study jurisprudence. But all plans for preparation for his future life were interrupted by the critical situation which developed in Russia at that time. Volin became acquainted with revolutionary ideas as a student at the age of nineteen, and made himself notably useful in the labour movement from the year 1901. In 1905, when the whole Russian Empire was under the spell of the great revolutionary upheaval which nearly overthrew the tyrannical Romanov rule, the young man from Voronezh joined the Social Revolutionary Party and took an active part in that uprising. And after the bloody suppression of the insurrection he, like so many thousands, was arrested. In 1907 a Tsarist tribunal's sentence banished him to one of the numerous places in Russia for political exiles. But he was lucky enough to find means of escape and went to France. It was in Paris that Volin found a larger opportunity to study and weigh the various schools of the Socialist movement and the many-sided aspects of the social problem in general. He became associated with various libertarians, among them Sebastian Faure, the eloquent orator of the French Anarchists. And he made connections with the small circle of Russian Anarchists in Paris, with A. A. Kareline and his group, and other organizations of Russian exiles. Under the influence of his new surroundings it was inevitable that Volin gradually altered his political and social views, with the result that in 1911 he separated himself from the Social-Revolutionaries and joined the Anarchist movement. In 1913, when the danger of armed conflict cast a shadow over all Europe, he became a member of the Committee for International Action Against War. This activity nettled the French authorities, and in 1915, when the battle-lines were being extended on the Continent, the Viviani-Millerand Government decided to put him in a concentration camp for the duration of the fighting. Warned in time, he was able, with the help of some French comrades, to escape to Bordeaux. There he shipped out as a storekeeper on a freighter bound for the United States. In New York, Volin joined the Union of Russian Workers in the United States and Canada, a formidable organization with about 10,000 members which entertained ideas similar to those of the Confederation Generate du Travail (the General Confederation of Labour) in France in that period. Thus he found a rich field for his activities. And soon he was serving on the editorial staff of Golos Truda, The Voice of Labour, weekly paper of the Federation, and as one of its most gifted lecturers. But in 1917, when the Revolution broke out in Russia, the whole staff of Golos Truda decided to leave for that country and to transfer the periodical to Petrograd. Arriving there, they got ready co-operation from the lately organized Anarcho-Syndicalist Propaganda Union. So it was easy to make arrangements for the publication of Golos Truda on Russian soil. Volin joined that Union and was immediately elected as one of the editors. During the early months the paper appeared as a weekly, but after the events of October, 1917, it became a daily. Meanwhile the Bolshevik Government in Moscow had signed the peace treaty of Brest-Litovsk by which the whole Ukraine was handed over to the German and Austrian occupation forces. For this reason Volin left Petrograd and joined a troop of libertarian partisans who went to Ukrainia to fight against the foreign invaders and their Russian supporters. Thus he found it possible to go to Bobrov and visit his family, which he had not seen since 1915, when he was compelled to leave France for America. During ensuing months of comparative freedom in Russia, when other social movements beside the Bolsheviki still enjoyed opportunity to spread their ideas through their own publications and at public meetings, Volin was constantly busy in many fields. He took part in the work of the Soviet Department for Public Education and Enlightenment of the People, first in Voronezh and later in Kharkov. 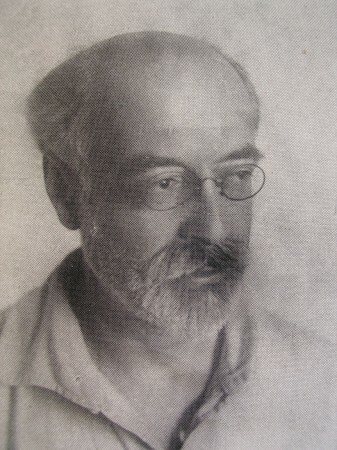 In autumn, 1918, he helped to build up the Anarchist Federation of the Ukraine, for a few months a potent organization, known by the name Nabat (Tocsin), which issued a great deal of literature. Besides its principal organ in Kursk, Nabat had regional papers under the same name in several parts of the Ukraine. Volin became a member of Nabat's Secretariat and of the editorial staff of its periodicals. And the Conference of that organization in Kursk entrusted him to work out a Synthetical Declaration of Principles which would be acceptable to all schools of libertarian Socialism in Russia and permit them to work together. But all Nabat's plans for the future came to naught when in spring, 1919, the Soviet Government began to persecute the Anarchists by suppressing their papers and arresting their militants en masse. It was then that Volin joined the revolutionary army of Nestor Makhno. And Makhno had in that army also a special department to enlighten the people and prepare them for a new social order, based on common ownership of the land, home rule of communities, and federative solidarity. Volin soon became head of this department, and acted as such during the whole campaign against Denikin. In December, 1919, the Military Revolutionary Council sent him to the district of Krivoi-Rog to oppose the dangerous propaganda of the agents of Hetman Petlura; but on his way he was stricken with typhoid fever and had to remain in the cottage of a peasant. Meanwhile Denikin's army was defeated, and shortly afterward there was a new break between the Soviet Government and Makhno's partisans. Still exceedingly ill, Volin was arrested on January 14, by military agents of the Moscow Government and dragged from one prison to another. Trotsky already had ordered his execution, and according to Volin, he escaped death then only by sheer accident. March, 1920, saw him taken to Moscow, and he was a prisoner there until October, when he and many other Anarchists were released by virtue of a treaty between the Soviet Union and Makhno's army. Volin then returned to Kharkov, resuming his old activities and participating in continuing negotiations between the Lenin Government and a delegation from Makhno's forces. But the agreement reached by these contending parties was quickly broken by the Bolsheviks, and in November, scarcely a month after their release, Volin and most of his comrades were arrested again and confined in the Taganka prison in Moscow. There was nothing against them except their libertarian views. Yet there can hardly be any doubt that except for a sudden tum of circumstance they all would have been liquidated in one way or another like so many thousands later. It was by a mere coincidence that their lives were saved. In the summer of 1921 the Red Trade Union International held a Congress in Moscow. The delegates included representatives of some Anarcho-Syndicalist organizations in Spain, France, and other countries, who had come to ascertain whether an alliance with this new International would be feasible or not. They arrived in the capital just as the Anarchists in the Taganka prison went on a hunger strike which lasted more than ten days and was carried on to compel the authorities to explain publicly why they had been jailed. When those delegates heard what had been happening they voiced a vehement protest, demanding the liberation of their Russian comrades. But it was only after the affair became an open scandal in the Congress that the Government consented to release the hunger-strikers, on condition, however, that they leave Russia. It was the first time that political prisoners were deported from the vaunted Red Fatherland of the Proletariat. And the Soviet Government had the audacity to furnish those victims with passports taken from Czechoslovakian war prisoners en route to their homeland. When the deportees arrived at the German port of Stettin they gave the authorities their real names and pointed out that the passports given to them by the Bolsheviki actually were not theirs. Fortunately for them, Germany itself was then in the midst of a revolutionary situation, when many things could be done which were later impossible. Though the commissar of the port had no legal right to let this group of about twenty remain on German soil, he sympathized with their plight and permitted them to send two of their comrades to Berlin to see whether they could find a friendly organization which would assume responsibility for their maintenance and good behaviour. When the two delegates appeared at our headquarters in Germany's capital, Fritz Kater, chairman of the Freie Arbeiter-Union Deutschlands, went with them to the Chief of Police and signed all necessary documents, so that within a few hours they had permission to bring the whole group to Berlin. They arrived by the end of 1921. It was not an easy job to provide for such a number, but the German comrades did what they could. Especially was it hard to find places for the newcomers to live in, for the housing question in Germany after the first World War was simply abominable and remained one of the nation's greatest problems for many years. And our toughest task was to discover a spot where the Volin family of seven could all be under the same roof. The only shelter our committee could find for them at that time was an attic which could be heated. It was then that I first met Volin and his comrades. Although only forty-one, he looked much older, for his hair and beard were almost white. But his energetic gestures and quick movements quickly corrected my initial impression. He was a genial and intelligent man with mild manners, thoughtful and courteous, and almost immune to outer circumstances and personal hardship. Having an unusual faculty for concentration, he could go on with his writing, apparently without difficulty, in the same attic where his whole family had to sleep, eat, and carry on their daily lives. In fact, Volin did a great deal of useful work while in Berlin. He wrote, in German, a valuable pamphlet of eighty pages, entitled The Persecutions of the Anarchists in Soviet Russia. This was the first authentic and documented information to the outer world about what was then going on in Russia. He also translated Peter Arshinov's book. The History of the Makhnovist Movement, [Published by the Group of the Russian Anarchists in Germany, Berlin, 1923.] into German, and at the same time edited a Russian Magazine, The Anarchist Worker. Besides, he did extensive work for the German libertarian movement, lecturing and writing articles for our press. Volin remained in Berlin for about two years, then received an invitation from Sebastian Faure to settle with his family in Paris, where living conditions in those days were much better than in Germany. Faure was occupied with the preparation and publication of his Encyclopedic Anarchiste and needed a man who was familiar with foreign languages as a regular contributor. So Volin found a challenging and engrossing field for his further activity. He wrote various articles for the new Encyclopedia, many of which were also published as special pamphlets in several languages. Too, he accepted an invitation of the Confederacion Nacional del Trabajo (National Confederation of Labour) in Spain to become editor of its French periodical in Paris, L'Espagne Anti-Fasciste. But although his economic fortunes in France were notably more favourable than they could have been in Germany, he suffered a succession of misfortunes, of which the death of his wife under harrowing circumstances was the worst. Shortly afterwards he left Paris for Nimes, and a little later arrived in Marseilles, where he was caught by the second World War. After the Nazis invaded France, his position became more and more dangerous. Going from one hiding place to another, he was compelled to live amid constant tragedy and in dire misery. When the war ended he returned to Paris, but only to enter a hospital, for he was afflicted with incurable tuberculosis and knew that his days were numbered. There he died on September 18, 1945. Many of his old friends followed him on his last journey, which led to the crematorium in the old cemetery of Pere-Lachaise. They mourned the loss of a dauntless comrade who had suffered much in his life, but who remained to the last a valiant fighter for a better world and the great cause of freedom and social justice.